He ushers us to sit down and relax. 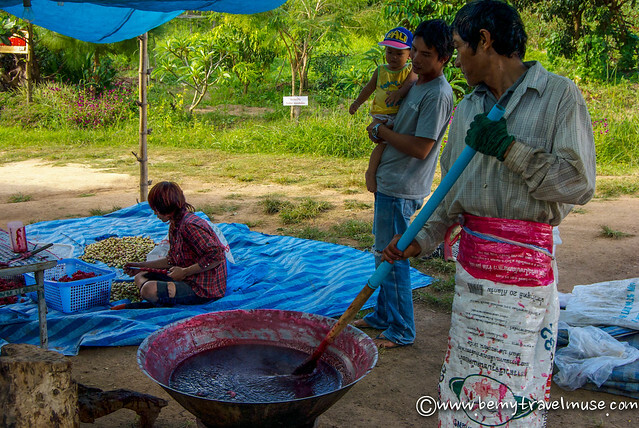 It’s a hot November day in Pai, northern Thailand, and he has just the thing we need – sweet, pink hibiscus juice with ice cubes floating in it, perfect for cooling off. 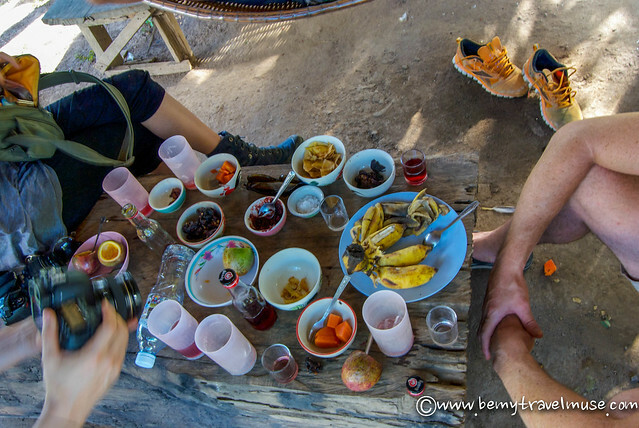 Next comes a spread of small and sweet bananas, potatoes with salt rocks, fresh papaya, dried banana chips with hibiscus jam, tart tamarinds and hibiscus wine. When in season, on a particularly lucky day, he also serves my personal favorite: passion fruit. He’s always laughing and smiling. Five times I have returned to see him, bringing along new friends each time, and his mood never seems to shift. 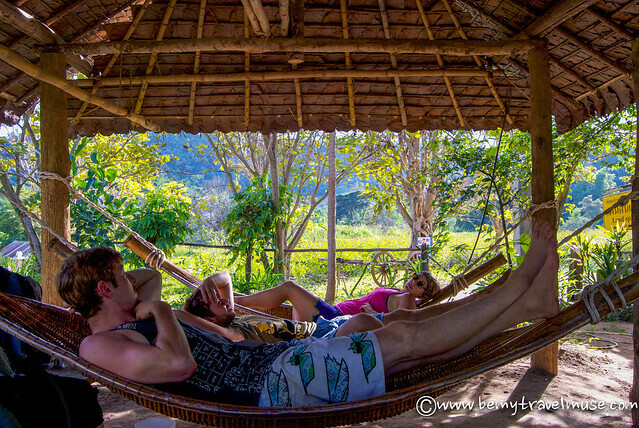 It’s a peaceful setting and one could easily lounge there for hours, swaying in the hammocks and fantasizing about moving to Pai. 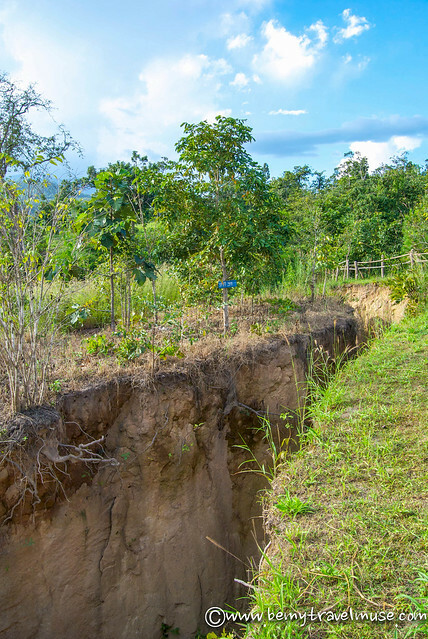 The land is narrow and steep. After relaxing and enjoying the fruit spread, a short walk up to the Split shows why and how this place got its name. The massive crack in the land isn’t the attraction for me, though. 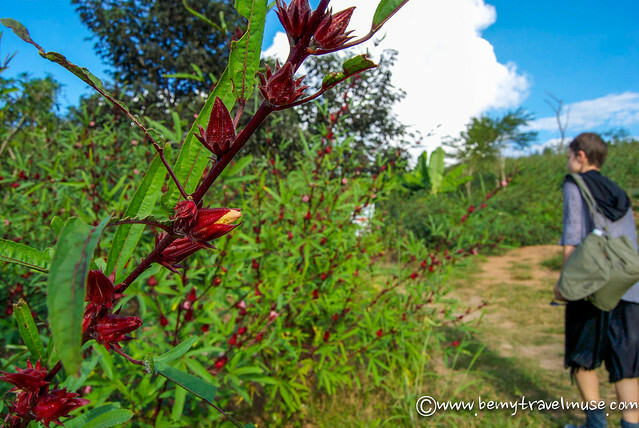 The picturesque vista, covered in hibiscus flowers, is something I always look forward to seeing time and time again. It’s peaceful, beautiful, and serene. Before the Split became the Split, it was a freshly-planted soy bean farm. At this point, it’s hard to say what I’d do, were I making my living off a plot of land that had just cracked. Surely nobody else would want to buy this seemingly useless land. But one thing that does grow plentifully throughout the Split, giant crack in the land or not, is a plethora of hibiscus plants. 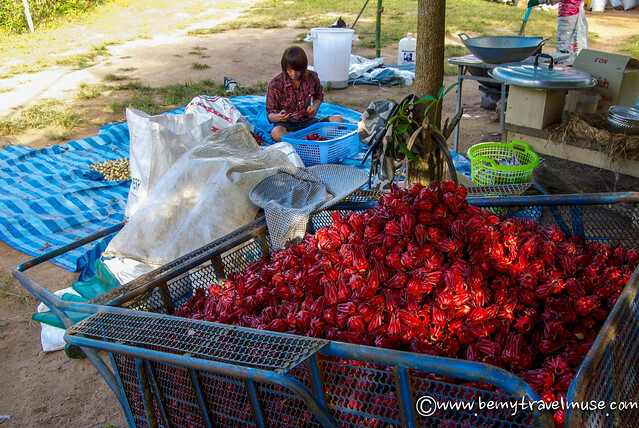 Something clicked, and he figured out how he’d make his living: providing fruit and hibiscus juice spreads to tourists who passed by on their way to one of Pai’s three famous waterfalls. He’d draw something positive out of this, he’d turn it into a tourist attraction. What’s beautiful about the Split is he asks everyone to simply pay what they feel it is worth, just like a favorite restaurant of mine in Melbourne. I love this concept, and the trust that comes along with it is what draws me back each time. To this day the split continues to widen a little more every few years, but he doesn’t seem too bothered. After all, it’s Pai, and there’s very little to be sad about in this paradise. hmmm is this the hippy place where (I heard)you can get some illegal substances for free? Ummm not that I know of. What a positive man. Great story. Once again lovely! This looks right up my ally. Thank you for sharing a hidden gem! What would you say is a good amount to donate? 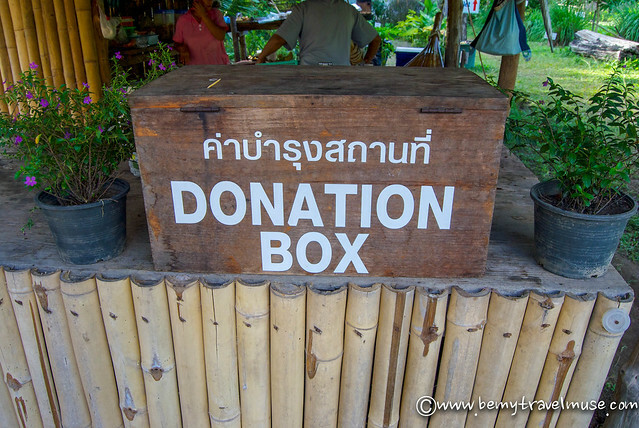 Up to you of course but under 50 baht would be under-giving I think. Maybe 100 per person? I remember having a similar positive experience with this vendor when went to Pai last year. Stayed there for about a week and completely fell in love with it too. Absolutely loved the hippie/reggae vibe, the pace of the town, the food, the friendly, creative atmosphere of the community and the gorgeous rolling mountains everywhere. 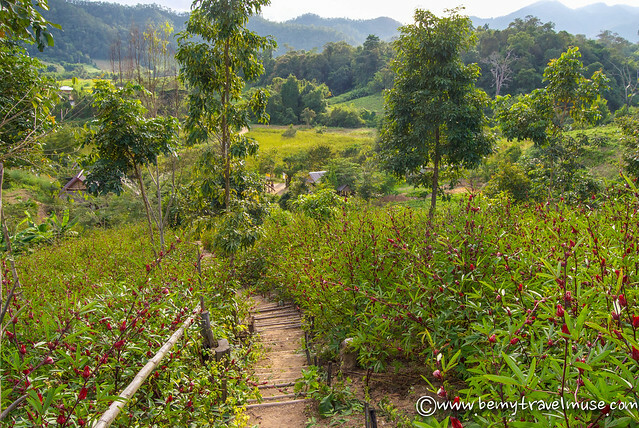 We did a guided trek where we walked 6 mountains in 2 days, including an overnight hill tribe stay. It was an eye opening experience where we battled mozzies, chest high grass, uphill climbs and rainy weather creating slippery, muddy leech filled conditions but it was amazing and very empowering to look back at achieving something we never thought we could do! That trek sounds amazing! Good for you! I feel the same way about Pai. The vibe is just perfect. 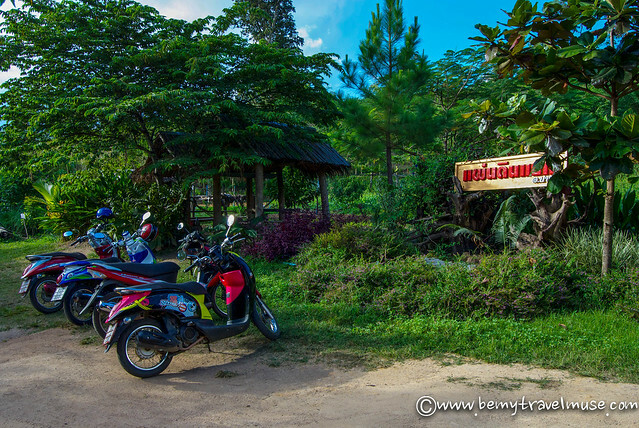 Im going to Thailand with my family and was looking for somewhere to go that wasnt full of tourists… This sounds beautiful, youve hooked me! Thanks for writing about Pai! Makes me want to go there! I got confused, so I looked it up – I guess a Rosella is a type of hibiscus. Either way, delicious.